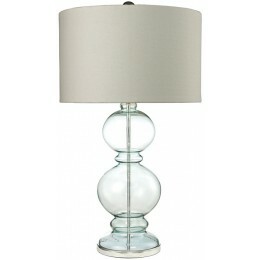 Mouth blown glass forms the body of this light blue curvy table lamp. 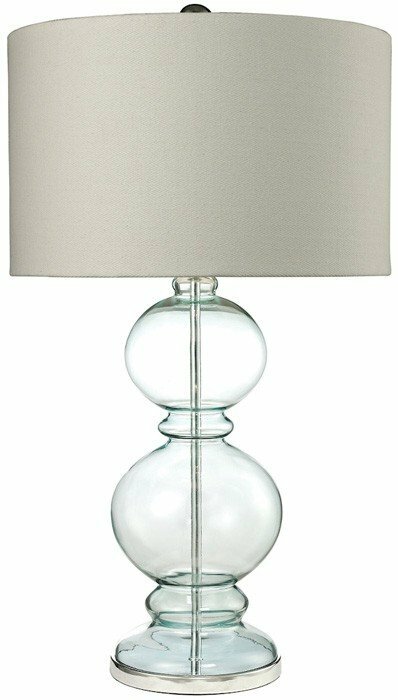 It is accented with a polished chrome base. finished with a white textured linen shade with white liner it is a great accent to make spaces light and airy.